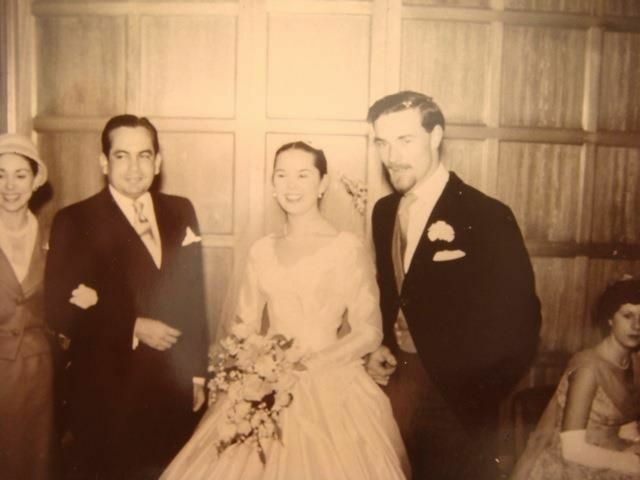 To celebrate world ballet day I wanted to share this photo of my aunt Sallie Lewis, on her wedding day. Sallie was totally dedicated to ballet and was a member of the Royal Ballet Company, you can spot another very well known ballet company member to the left of the photo! Sallie left the RBC after she got married, opened her own dance school and then become an examiner for the Royal Academy of Dance who she worked for until she sadly passed away in June 2000. Her beautiful daughter, my cousin Sarah, attended the Royal Ballet upper school and helped with developing Movitae in the early days. Sallie was the impetus for me attending the Royal Ballet Upper School before I went into the Royal Ballet Company, she knew everyone and everything about ballet and was a larger than life personality who's love of dance was infectious. I was lucky to know her and to spend time as an individual with her, but not every dancer has an aunt like Sallie and I do wish it was easier for dance teachers to advise and mentor young dancers today - but perhaps it is getting easier... Perhaps technology can help us here. What we all do have is a dance teacher who often has vast amounts of experience and advice, we just need a way for all dance students to easily tap into this knowledge. Imagine then how rich the dance learning experience would be. I think dance teachers now have the opportunity to harness the power of technology; and to converge their specialist knowledge with it, to create something really powerful for their students. Technology enables us to draw quickly and actively on the age old tradition of handing down, and passing on dance technique, interpretation and artistry to the next generation in way that was never possible before. So we have the opportunity to embed these traditions rather than lose them in this busy world. Rather than be ruled by technology, teachers now have the opportunity to own it.